Please use the application below to book your next service appointment. If the application doesn’t load on your browser or you experience any issues booking, please call us at 403.232.6401 or email appointments@mbdtyyc.com to book your service appointment or to inquire about a current appointment. 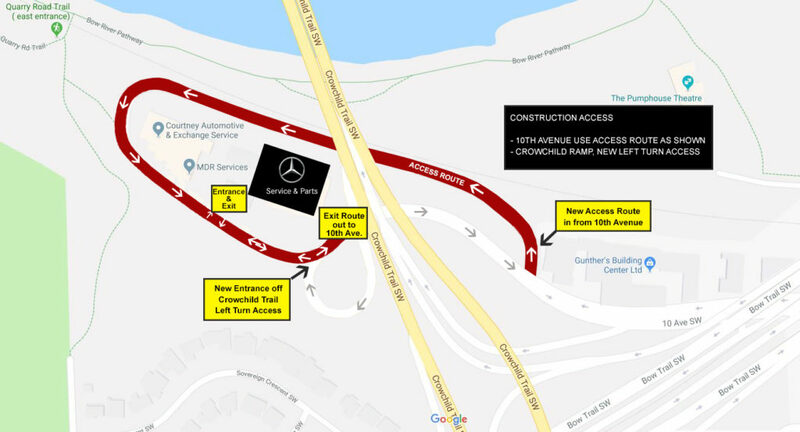 Service Access Map as of July 2018 – Please note the change of access route to our Service & Parts location when coming from 10th Avenue Westbound and when exiting off Crowchild Trail Southbound.